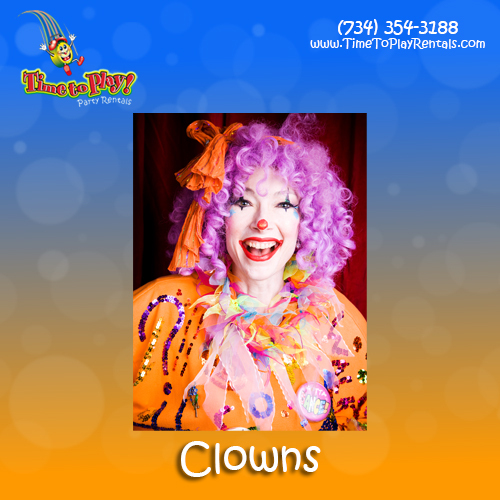 Our Clowns are experienced, professional and most of all – loads of fun! Choose one of our clowns for your special occasion and your guests are sure to be impressed with their amazing games and tricks! Many of our sweet clowns are also skilled in balloon twisting and face painting. Your guests will be clowning around at your Birthday Party, Church or School Festival, Corporate Event and more!